You take a drink of iced tea, eat some cake or ice cream, or sip some hot coffee and the pain sensation is sharp and unbearable. 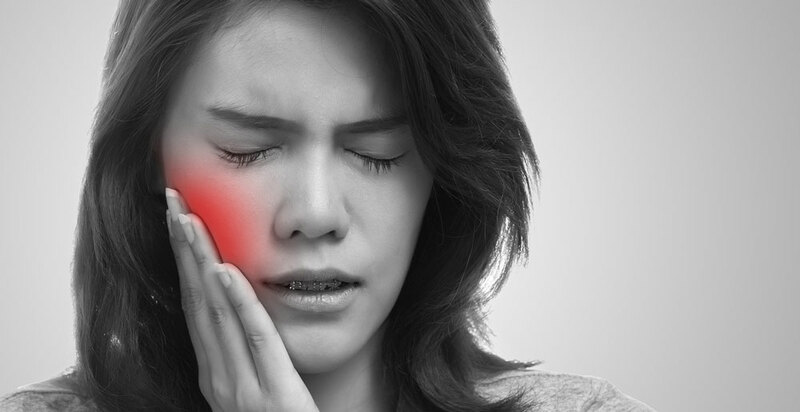 Are you one of millions of people suffering from sensitive teeth? Let's take a look at some of the reasons for sensitive teeth and how you can find relief. One reason for tooth sensitivity is because of the wearing of the tooth's surface or gum tissue. As we age, sensitivity becomes more prevalent due to the wear and tear on our teeth. I often explain to my patients that the flattened tooth structure or the irregular wear patterns on their teeth reveal an issue of bruxism, clenching or grinding (very common). These damaging parafunctional habits wear down the protective tooth enamel, exposing the underlying dentin, which then sends a sharp shooting pain. In this case, I recommend wearing a protective night-guard (occlusal guard) while sleeping to help prevent further damage to your teeth. Sometimes a cracked, chipped, or broken tooth can create the same sensitivity sensation because of the build up of bacteria from plaque, which enters the tooth and irritates the nerve or pulp causing inflammation. Most people won't go to the dentist until they have tooth decay (a cavity) causing pain because it has been left untreated. Be sure not to let a chipped or broken tooth go too long without repair. Individuals who try to bite into any foods and experience a very sharp pain on one particular tooth may also be experiencing a cracked filling or tooth. Both can create a sharp sting. A person with a cracked tooth may experience more than sensitivity issues and should be seen immediately for further evaluation. The tooth may require root canal treatment should the sensitivity and pain be of longer duration. Very seldom will pain go away on its own, and in most cases, it only worsens without seeing your dentist. The most common cause of tooth sensitivity is exposed tooth roots due to receding gums. The roots, which are not covered by protective enamel layers, as do the clinical crowns, contain very many small microscopic tubules or canals that lead to the tooth's nerve center, the pulp. When protective layers to the tooth's root are worn and exposed, the stimuli of hot, cold or sweet foods reach the cells and the nerves in the tooth to trigger the pain you feel. When gum tissues separate from your teeth and form pockets or spaces that trap bacteria, sensitivity and pain will also occur. The presence of plaque build up can also cause discomfort, especially on root surfaces. Recession of gum tissues due to periodontal disease can cause sensitive teeth and can become more serious if left untreated. I also stress to my patients to brush with a soft toothbrush and be sure they brush correctly. Brushing your teeth too hard or aggressively can also injure your gum tissues and expose tooth roots. Certain foods are very acidic in nature. Regular consumption of acidic foods such as citrus fruits or tomatoes can cause enamel erosion, which results in sensitivity issues. Whitening products and toothpastes with tartar control, baking soda and peroxide can also contribute to sensitive teeth. In-office and home bleaching can cause sensitive teeth due to dehydration and open dentinal tubules. Usually, to help relieve your pain, your dentist will provide you with a special toothpaste, fluoride rinse or gel, or apply a desensitizing agent or a protective coating in the affected area. Products with a stannous fluoride gel or a toothpaste containing fluoride, potassium nitrate, strontium chloride, or a paste such as MI Paste with bio-available calcium and phosphate all can help to relieve sensitivity issues with daily use. These ingredients help block transmission of sensation from the tooth to the nerve. Sensitive teeth can make life miserable because the pain can be sharp, sudden and shoot deep into the nerve endings of your teeth. It affects one out of four adults. Be sure to tell your dentist if you're experiencing sensitive teeth as it can be successfully treated, bringing much needed relief.